Turn left out of the Rowing Club run along the left-hand side of the canoe lake, along the Esplanade past the Bus station. Turn right into Spencer Road and run its full length, passing through the footpath at the end turn right down Ladies Walk which runs alongside the golf course. Turn left as you exit the footpath into Brookfield Gardens and then down the smaller lane at the staggered cross roads at the end of the road. At the mini-roundabout on Binstead Road cross straight over, with care and run along Ringwood Road. Follow this footpath for about 450m, then cross Hillrise Avenue taking the footpath on the other side of the road. After about 100m follow the footpath as it bears right and climbs, then bear left at the wooden bench following the main path for another 250m. At the end of the road cross over into Partlands Avenue, then left into Swanmore Road. 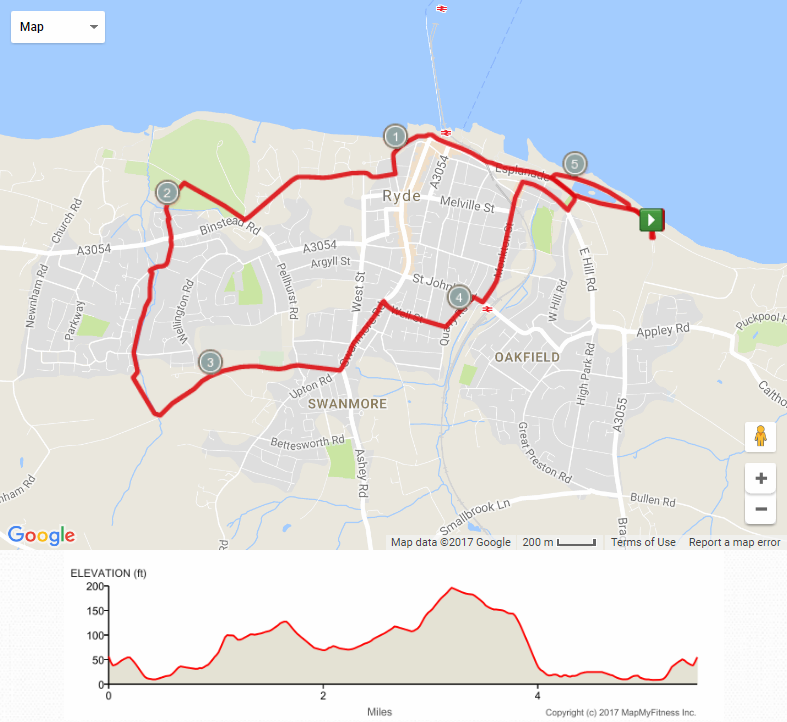 Run the full length of Monkton St. and turn right into the Strand running to the Main Road at the bottom of East Hill Road. Stay on the left, follow the Main Road around crossing safely to the right when you are opposite the Canoe Lake.